This is a paradise where animals have no fear of man; it is a magical realm where creatures seem to be enchanted. They have fantastic, unique and fascinating forms with behaviors impossible to find anywhere else in the world. 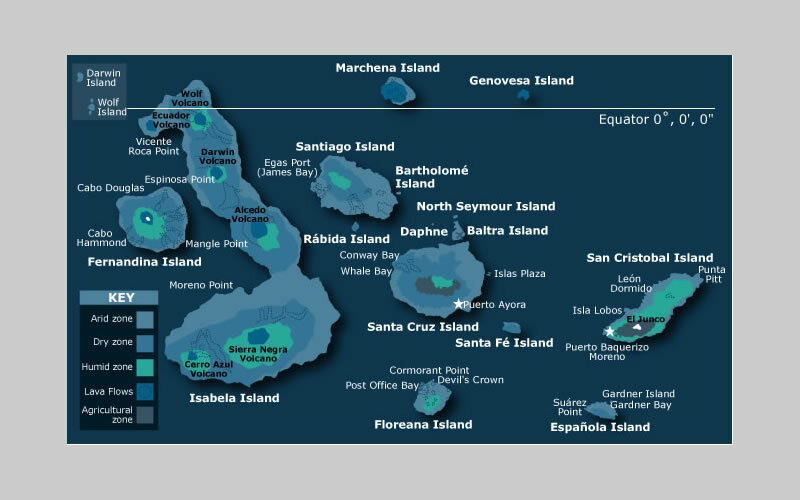 , this archipelago is unique and one of the wonders of world.UNESCO declared the Galpagos Island a World Natural Heritage this archipelago is unique and one of the wonders of world.Biodiversity thrived in a territory of volcanic material that emerged frm the deep waters of the Pacific Ocean millions of years ago. Comorants forgot to fly, iguanas learned to swim, turtles became gigantic, and sharks mild. This is a place where sea lions show off their swimming skills and blue-footed boobies perform their elegant two-step mating dance right under your nose. The archipelago is located in the Pacific Ocean 600 miles, or 965 km, off the Ecuadorian mainland. Its wonders include impressive geological formations, old and new outcrops, various types of cones and tunnels formed by underground streams and currents.White, red and black sand beaches with extraordinary landscapes highlight the diversity of life itself. This is where Charles Darwin was inspired to draw up his theory on evolution and the origin of species. It's a volcanic island in Galapagos. Passengers will see volcanic formations such as lava bombs, spatter, and cinder cones. After hiking to the summit you can enjoy a great view of the surrounding islands, including Pinnacle Rock's eroded tuff cone. It has a volcanic cone that is easy to climb and provides great views of the other islands. On the way to the summit, you'll see colonies of marine iguanas, lava lizards, tiquilla, and various cacti. You can snorkel with the penguins, sea turtles, white-tipped reef sharks, and other tropical fish. The bay is also an excellent place to go swimming. The volcano-formed beach is dark red and is often occupied by sea lions. It's considered the geographic center of Galapagos because it has the most diverse volcanic rocks on the islands. You'll hike to a salt water lagoon, where flamingos can sometimes be found. July through September is a good time to observe brown pelicans nesting on the salt bushes. You can take a ride along the reefs in a dinghy, as well as snorkel. 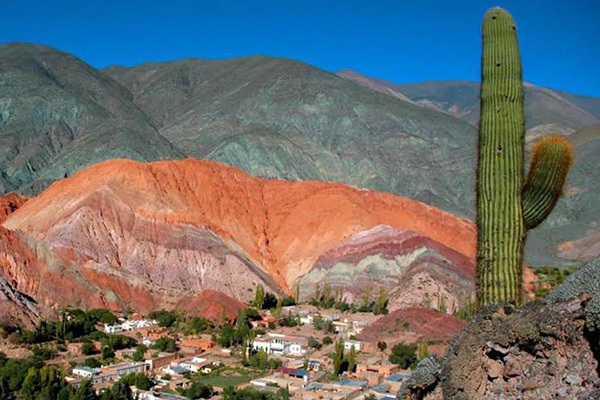 Most of the landscape is tuff-stone layers and l ava flows. You can observe hunting herons, great blue herons, lava herons, yellow-crowned night herons, and oyster catchers. Passengers will see marine iguanas grazing on algae beds alongside red sally light-foot crabs. There is a colony of fur seals swimming in deep cool-water pools. Port Egas is a perfect spot not only for taking pictures but also for snorkeling with many species of tropical fish. Isabela is the largest island in Galapagos. Visitors will learn about the eruption of five volcanoes that formed the island. The trail leads to Darwin's salt-water lagoon and an excellent view of the lava fields and volcanic formations. Passengers will take a dinghy to observe marine life. Galapagos penguins, sea lions, nesting gulls, lava gulls, and dolphins can be seen here. Visitors will also visit the fossil beach and coral area of Urbina Bay. After the walk we will have the time for snorkeling. Visitors will see the biggest marine iguanas mingling with sally light-foot crabs, as well as flightless cormorants at their nesting sites, sometimes Galapagos penguins, Galapagos hawks, and sea lions. Among the flora and volcanic formations, observers will spot brachycereus cactus. Visitors will hike from the black mangrove beds to a large brackish lagoon, which holds one of the biggest flamingo populations in the Galapagos. The island is best known for its endemic plants like the Galapagos millwork, passion flower and button mangrove. Novice snorkelers can practice on the main beach with playful sea lions. Guests will encounter swallow-tailed gulls, sea lions, and blue-footed boobies. This site has the largest colony of the magnificent frigate bird. Travelers will also spot both the marine iguanas and the land iguanas. Visitors can also observe the endemic species of holy stick (palo santo). Depending on the season, guests can see the very peculiar courtship dance of the male frigate birds with their inflatable red pouches. Passengers can walk towards a salt-water lagoon behind the beach where occasionally pink flamingos can be observed. This trail leads up to Dragon Hill which offers a lovely view of the bay. Travelers will visit the Charles Darwin Research Station; here they can admire the giant tortoises that are part of the breeding program. On Bachas Beach, passengers will encounter sea birds, marine iguanas, sea turtles, and have the opportunity to swim on the white-sand beach. In POINT Carrión visitors will have the opportunity to snorkel and see a variety of fish, rays, and perhaps the harmless white-tipped reef sharks. Guests can choose between a dinghy ride and snorkeling. This island is home to frigate birds, giant tortoises, sea lions, and marine iguanas, Passengers will visit the San Cristóbal breeding center, and learn about the National Park's breeding program with the giant tortoises. During our hike along the breeding center, visitors can observe endemic flora such as: Scalecia Pedunculata, Lepocarpus Darwini, and Galapagos Guaba. Española, the oldest island in the Archipelago is without no doubt a sanctuary of birds where you can observe blue-footed boobies, Nazca boobies, red-billed tropic birds, swallow tailed gulls, the Española mockingbird, and from April to December more than 12000 pairs of waved Albatross come to nest. Passengers will observe sea lion colonies, colored marine iguanas, lava lizards, the beautiful scenery of the blowhole where water shoots about 23 meters (75 ft) up into the air. Visitors will go to Gardner Bay , a white coral beach amidst a large colony of sea lions. 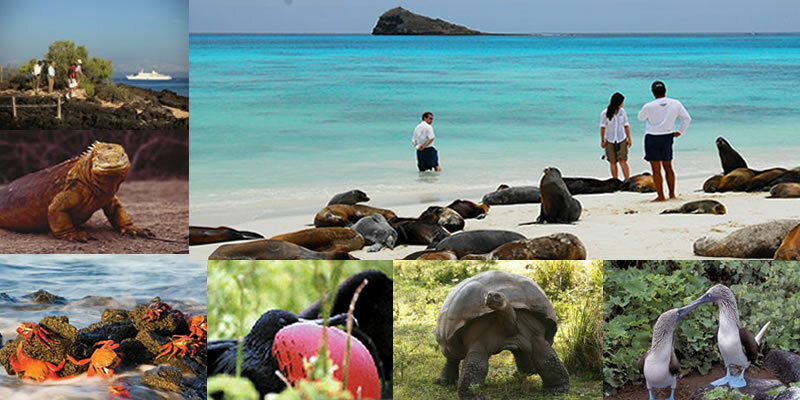 It's great for swimming and snorkeling and you can spot many Galapagos marine species.